A former US Pentagon insider has accused the US Government of ignoring evidence of unidentified flying objects (UFOs) following the release of new declassified footage. The Department of Defence (DoD) video, released on March 9, purportedly shows US Air Force aircraft monitoring a UFO off the United States’ east coast at an altitude of 7500 metres in 2015. The footage was made public by the To The Stars Academy of Art and Science (TTSA), a research organisation founded in October 2017 by former Pentagon official Luis Elizondo to conduct research into “exotic science and technologies”. 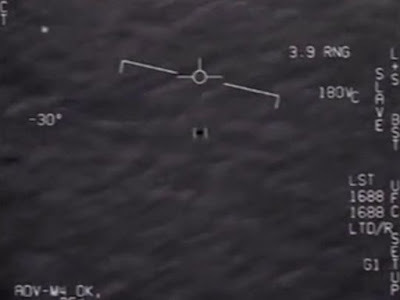 The newly declassified video and audio shows US Navy pilots allegedly encountering a UFO, with TTSA analysis saying it showed no obvious wings or tails and was seen moving at a high speed “very low” above the ocean surface. “Wow, what is that man?” one pilot can be heard saying. “Oh my gosh dude! Look at that flying!” another exclaims. TTSA also said that there was no exhaust plume from the object, which would be visible on conventional aircraft filmed in the manner seen in the video. The video has emerged just four months after the DoD confirmed the existence of a secret $US22-million ($28-million) program to investigate UFOs, which ran from 2007 to 2012. The Pentagon shut down the program, but backers claimed it remained in existence to investigate episodes brought to its attention by service members. 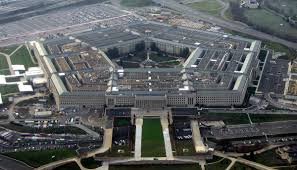 Christopher Mellon, an adviser to TTSA and a former deputy assistant secretary of defence for intelligence, said credible “reports from different services and agencies remain largely ignored and unevaluated” by the Pentagon. Writing in the Washington Post in response to the new footage released by TTSA, Mr Mellon criticised the lack of action in response to such incidents. “The videos, along with observations by pilots and radar operators, appear to provide evidence of the existence of aircraft far superior to anything possessed by the United States or its allies,” Mr Mellon wrote. “Is it possible that … they might be evidence of some civilisation? In the article, Mr Mellon describes a cultural stigma inside the Pentagon against anyone who pursues the idea that the UFOs are linked to extraterrestrial lifeforms. “Nobody wants to be ‘the alien guy’ in the national security bureaucracy,” Mr Mellon wrote. “Nobody wants to be ridiculed or sidelined for drawing attention to the issue. As a result, Mr Mellon claims the military does virtually nothing with the numerous reports of UFOs that soldiers make. “There is no Pentagon process for synthesising all the observations the military is making. The current approach is equivalent to having the army conduct a submarine search without the navy,” Mr Mellon said. The DoD has declined to comment on the latest video but in a statement last year said it took all threats to mankind seriously. “The DoD takes seriously all threats and potential threats to our people, our assets and our mission, and takes action whenever credible information is developed,” the Pentagon said. The new video comes soon after two other declassified videos of supposed UFO sightings by U.S. Navy pilots were published by The New York Times in December. In one of those encounters, pilots David Fravor and Commander Jim Slaight, who were flying off the Southern California coast in F/A-18F Super Hornets, described seeing an oval-shaped object hovering above the sea. Scientists have stressed that unexplained phenomena are not proof of interstellar visitors.